While the state of Connecticut ponders how to handle the owners of thousands of unregistered semi-automatic firearms and magazines in the state, an important NRA-backed case challenging the constitutionality of the state’s firearm and magazine bans is making its way through the federal courts. The case, Shew v. Malloy, was initiated on May 22, 2013, when lawyers on behalf of June Shew and several other plaintiffs filed a complaint in the United States District Court for the District of Connecticut. The complaint alleged several violations of the plaintiffs’ rights. The complaint first claimed that the state’s bans on magazines and certain semi-automatic firearms are in violation of the right to “keep and bear arms as guaranteed by the Second Amendment of the United States Constitution, and as made applicable to the States by the Fourteenth Amendment.” Next, the complaint argued that the firearm and magazine prohibitions violate the plaintiffs’ right to equal protection under the law, as several classes of government employees are exempt from the ban. Last, the complaint asserted that portions of the Act violate due process, as the ban is vague. In addition to other extensive support to the case,NRA offered a friend of the court brief on July 15, 2013. The brief explained why Connecticut’s bans should be invalidated. The brief argued that the Act should not be subject to an interest balancing test. It stated, “[T]he line between permissible and impermissible arms regulations is not to be established by balancing the individual right protected by the Second Amendment against purportedly competing government interests.” To bolster this argument, the brief cited the Supreme Court’s Heller decision extensively. In a similar vein, the brief cited the Heller decision’s contention that the Second Amendment protects firearms “of the kind in common use.” It went on to cite a variety of evidence in explaining how the semi-automatic firearms and magazines prohibited by Connecticut’s ban are in “common use.” Indeed, as the brief pointed out, the AR-15 is “America’s ‘most popular semi-automatic rifle.’” Were the court nevertheless to apply a balancing test, the brief argued that the act is unconstitutional under any level of scrutiny. Unfortunately, on January 30, 2014, the district court granted the defendant’s motion for summary judgment, upholding Connecticut’s bans. The case was subsequently appealed to the United States Court of Appeals for the Second Circuit. The brief also called upon the court to limit the evidence that the state of Connecticut can use to justify the Act. 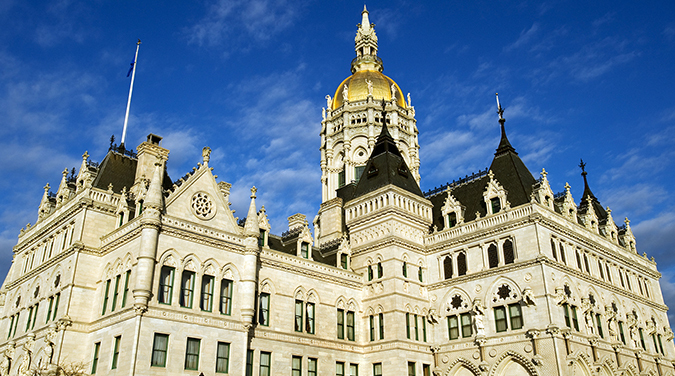 It stated that only the evidence which was considered by the Connecticut legislature at the time of enactment should be used to determine whether the legislature acted reasonably. Further, the brief went on to attack the credibility of evidence used by Connecticut and the District Court, by refuting the so-called “expert” opinions of Dr. Christopher Koper as unreliable. Other friend of the court briefs were filed in support of the plaintiffs by a variety of organizations, including the Pink Pistols, the National Shooting Sports Foundation, the International Law Enforcement Educators and Trainers Association, and a coalition of states including Alabama, Alaska, Arizona, Arkansas, Florida, Georgia, Idaho, Kansas, Kentucky, Louisiana, Michigan, Missouri, Montana, Nebraska, New Mexico, North Dakota, Oklahoma, South Carolina, South Dakota, Texas, Utah, West Virginia and Wyoming. The case is now on appeal before the Second Circuit. The Second Circuit has announced that argument in the case will be heard on December 9, the same day and before the same panel as the pending appeal in the case challenging New York’s “SAFE” Act. We will report on further developments as they become available.